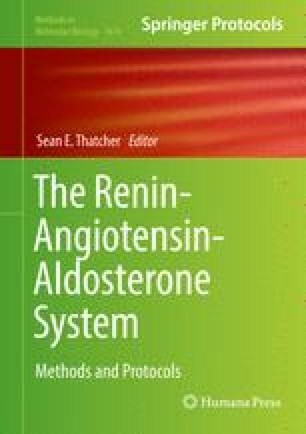 The renin-angiotensin-aldosterone system (RAAS) is a complex system of enzymes, receptors, and peptides that help to control blood pressure and fluid homeostasis. Techniques in studying the RAAS can be difficult due to such factors as peptide/enzyme stability and receptor localization. This paper gives a brief account of the different components of the RAAS and current methods in measuring each component. There is also a discussion of different methods in measuring stem and immune cells by flow cytometry, hypertension, atherosclerosis, oxidative stress, energy balance, and other RAAS-activated phenotypes. While studies on the RAAS have been performed for over 100 years, new techniques have allowed scientists to come up with new insights into this system. These techniques are detailed in this Methods in Molecular Biology Series and give students new to studying the RAAS the proper controls and technical details needed to perform each procedure.